With a proven track record in preparing pupils for the 11 Plus, Marie Redmond MEd and her team of fully qualified and experienced primary teachers provide specialist tuition focused on your child’s individual needs. Our small class sizes mean that children can have one-to-one attention when they need it, in a friendly and stress-free environment. Our unique 11 Plus courses in Amersham, Beaconsfield, Gerrards Cross and Stoke Poges are structured to give children the confidence they need to sit and pass exams in a friendly, stress-free environment. So your child will develop the skills they need to reach their potential in the 11 Plus, while preparing them for their future education. 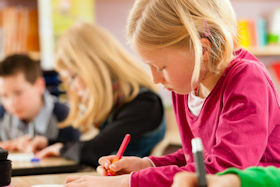 Our 11 Plus Mock Exams are written by Marie Redmond MEd and prepare for the Berkshire (Slough, Reading and Kendrick) and Buckinghamshire 11 Plus exams. The 2019 tests take place in Amersham, Beaconsfield, Langley (Slough) and Stoke Poges. I found the mock test in the summer really helpful as it helped me understand the format and manage my time for the 11 Plus. I am so pleased that we took the time to make the right and best choice in choosing you for his tutoring. 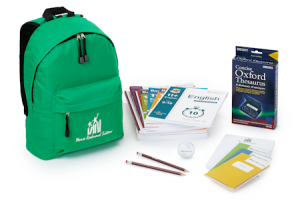 It’s was a big decision for me as you know his school gives a great deal of daily homework and I needed to make sure most importantly he is in an environment where is happy and looks forward to coming to each week – I believe this will aid to his success. I am delighted that Anne has made this possible with her professionalism and engagement with him in his first lesson. I was overwhelmed that he came out smiling and happy in-fact he was quite eager to go home and finish all his homework -which also surprised my husband! My son, Reuben, travelled over from Australia to sit the 11+ this September. He was enrolled on your summer course. Reuben said it was a fantastic course and that he found it very helpful. Reuben passed his 11+ and achieved a mark of 133. Just wanted to share this with you and thank your staff for a very helpful study course. We were so pleased with her efforts throughout and just wanted to say thank you because the tuition was really fun and she developed so much during the year of tuition! She learned to manage her workload and seems to be more of an active learner now whereas she has previously struggled with confidence and has been quite quiet at school, but she seems to have really come out of herself now! We know that she will do well wherever she goes and is more prepared for secondary school as a result of this last year with you so thank you! I really appreciate getting data like this – it’s extremely useful and good to see that he is tracking well so far. He is actually really enjoying the lessons, more than I thought he would so the teacher is clearly doing a great job. The homework regime is also proving really helpful in terms of structuring the time I spend with him and understanding more directly where his strengths and weaknesses are. All of our teachers have enhanced DBS checks. We have a comprehensive child protection policy and our teachers undertake regular child protection and first aid training.